“How do I prevent gum disease?” A great question and one not enough people are asking. With the right steps and actions you can avoid the major consequences of gum disease, which often include tooth loss. Simple preventive treatments can improve your oral health and help your smile remain disease free. Question: Is a cleaning enough? 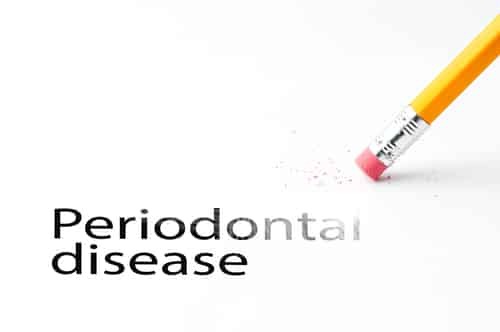 Answer: In many cases a patient can protect his/her smile from the onset of periodontal disease with regular care, which includes daily brushing and flossing, as well as routine dental cleanings. However, sometimes this is not enough. If you have other risk factors and begin to show signs of gingivitis or gum disease, then preventive techniques may be necessary. Question: What is periodontal supportive maintenance? Answer: If you have risk factors for gum disease then you may need more than a typical cleaning. Supportive periodontal maintenance, or SPT, involves removing plaque and tartar (hardened plaque) from the surface of the teeth and roots along the gum line. The procedure will need to be performed once every three months. Question: Do I need a scaling and root planing? Answer: Also known as a deep cleaning, this non-surgical treatment involves the use of local anesthetic and an ultrasonic scaler to remove the accumulated plaque from the teeth and the surface of the exposed roots. Afterward, the roots are planed, which makes them smooth and allows the gum tissue to attach, closing periodontal pockets. Question: How does ozone therapy work? Answer: Using oxygen therapy, the doctor can help neutralize harmful bacteria that can lead to the onset of dental disease. If you have any questions about this or any of our other preventive treatments, please contact our office today.